These two gorgeous book blocks were sewn for us by Acme. Top is Rives Heavyweight (from France) and bottom is Somerset Heavyweight (from England). 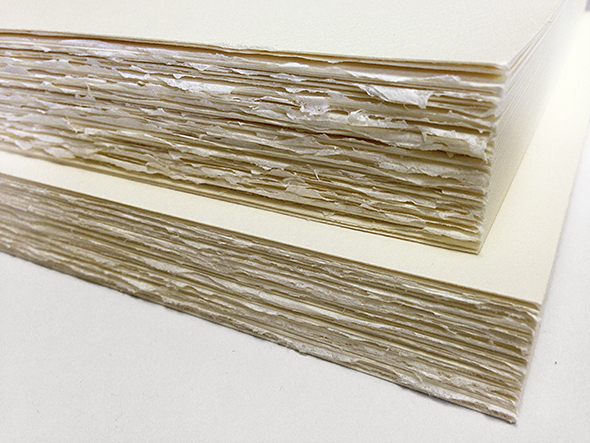 Both papers are mouldmade, 100% cotton. 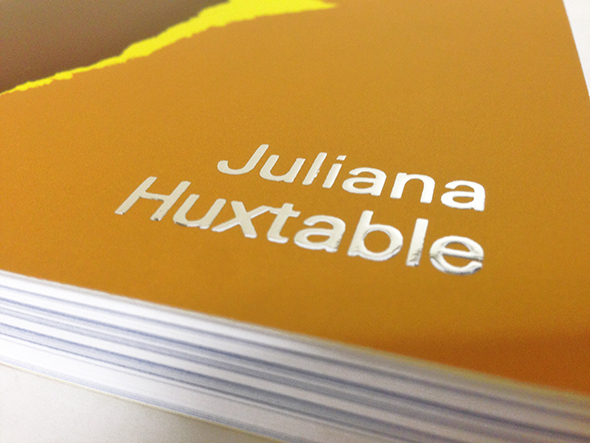 This short-run book cover started with an Indigo-printed cover with overall matte lamination. 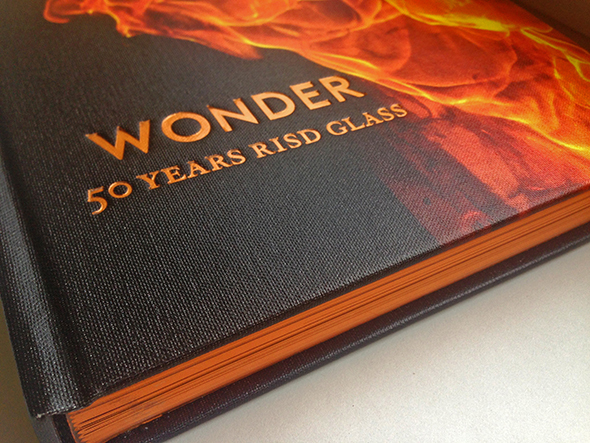 Superior Bindery then applied a silver foil directly over a raised spot gloss UV on the text areas, creating a raised effect without registration issues. This technique has good resolution, does not show through to the inside covers like a traditional emboss or deboss, and does not require a die. 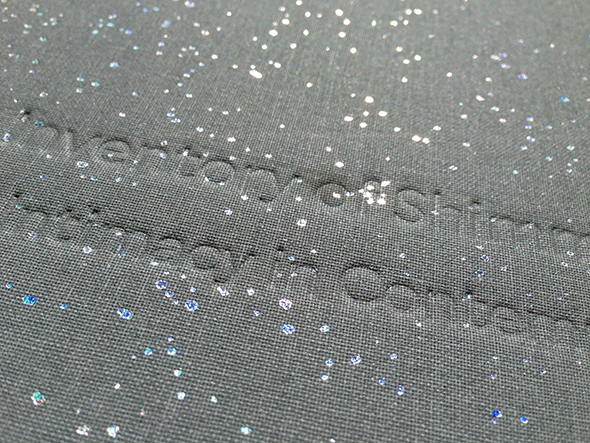 This book cover has blind debossing for the text overlayed with an holographic foil, giving it a three dimensional shimmering effect. 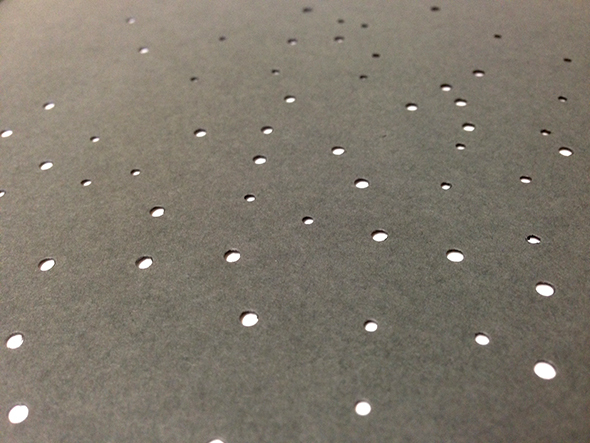 Endpapers (pictured at bottom) have die cut holes. Book design by Miko McGinty Inc. This cover shows HUV printing on Holliston book cloth, along with a foil stamp and edge staining. The quality of the ink over the cloth is crisp and bright. Book design by Jenny Chan (Jack Design). 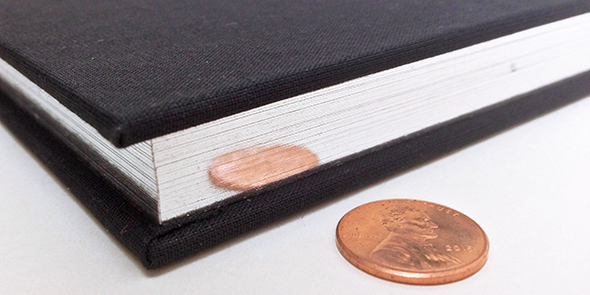 Testing Holliston’s Luxeboard as a nice alternative for perfect bind book covers. 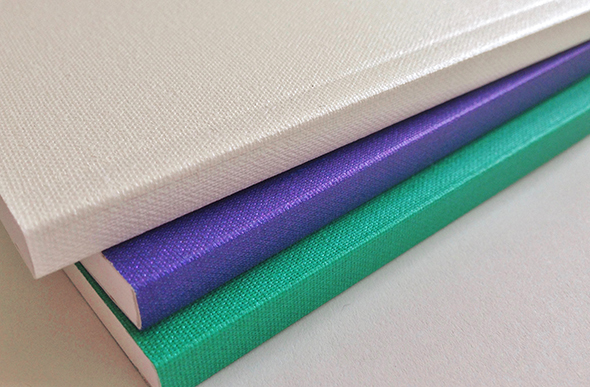 Luxeboard is a printable cloth mounted over paper and has the feel and durability of a hardcover book, for much less expense.